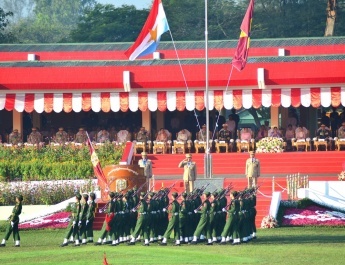 Commander-in-Chief of Defence Services Senior General Min Aung Hlaing, accompanied by Union Minister for Border Affairs Lt-Gen Ye Aung, Commander-in-Chief (Navy) Admiral Tin Aung San, Commander-in-Chief (Air)General Maung Maung Kyaw, senior military officers of the Office of the Commander-in-Chief (Army), and Commander of Northern Command Maj-Gen Teza Kyaw, inspected the multiple farming camp of the 500-acre Nanttale multipurpose farm in Putao Station of Northern Command this morning. 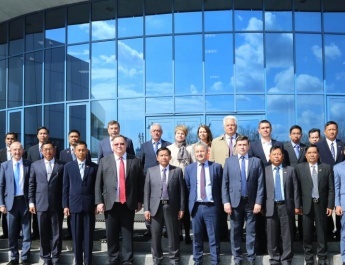 At the briefing hall, an official presented a report on the cultivation of perennial and seasonal crops and future programmes, the preparations for raising of layers and broilers,DYL pigs, dairy cows and fi sh and installing water and electricity supply. In response, the Senior General said the goal of the multipurpose farm was to sell vegetables, meat, fish, milk and eggs at reasonable prices not only to those from Putao Station, but also to the local ethnic races of remote places in the Putao region.The adequate water and power supply to the farm must be installed soonest. A fixed number of perennial crops must be grown in accord with the required spacing. Apart from breeding of layers and broilers, DYL pigs,dairy cows and fish, test farming of goats must also be conducted with the cooperation of experts. A goal must be set for the farm to become a model in Putao region. 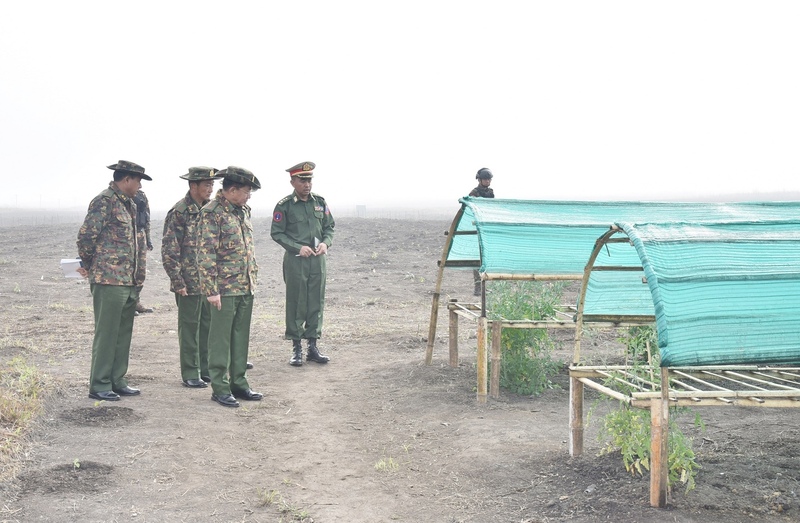 Afterwards, the Senior General looked around the Greatfruit, Bayin fruit, American lime and tea farms and tomato cultivation in the all-season crops farm. 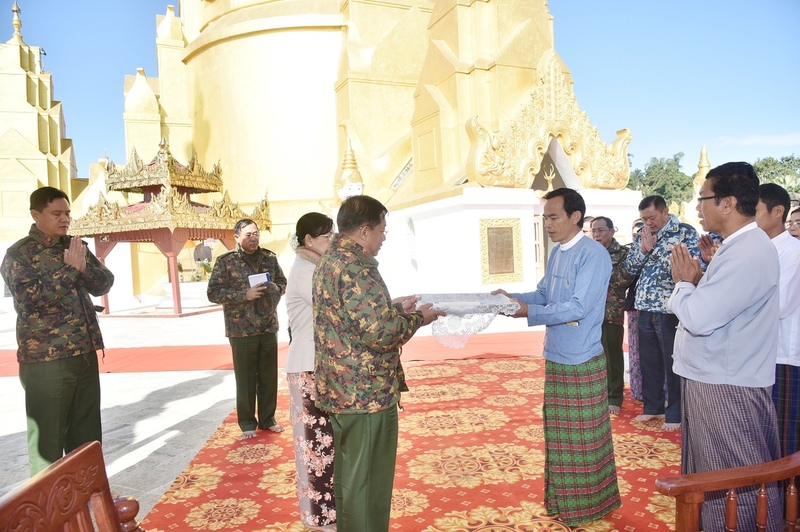 Accompanied with his wife Daw Kyu Kyu Hla and party, the Senior General visited Kaunghmulon Pagoda in Machanbaw Township, Putao District. 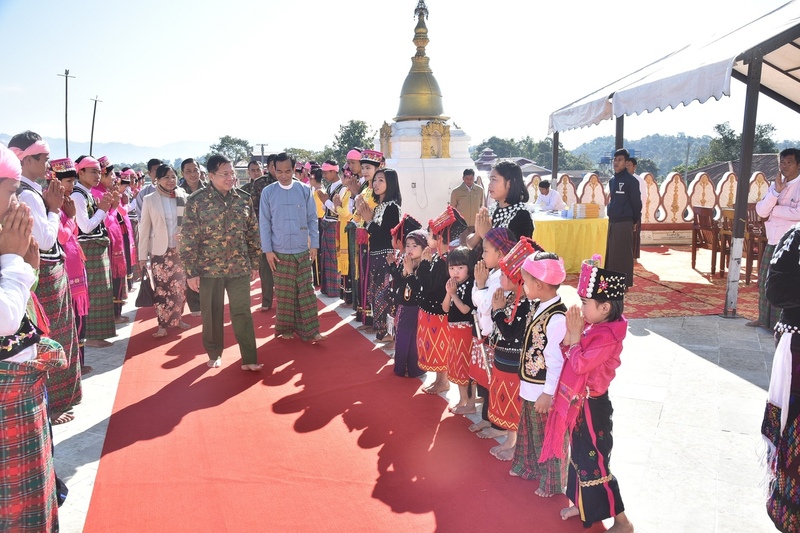 Members of the Pagoda Board of Trustees and local people warmly welcomed the Senior General and party. 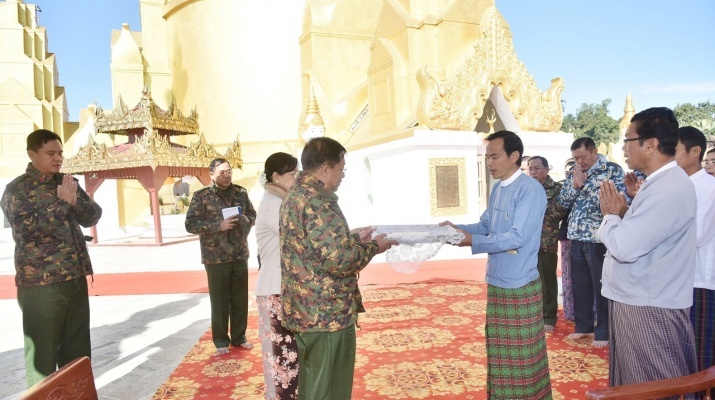 The Senior General and wife paid obeisance to the Buddha Image of the pagoda and offered fruits, flowers, water and oil lights.They also presented cash donation for the pagoda through an official of the board, who in turned presented a certificate of honour to them. 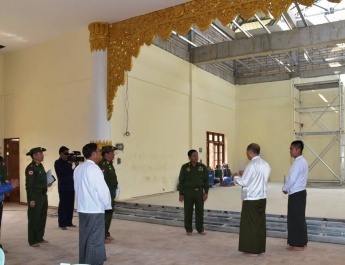 The Senior General and party paid homage to the pagoda clock-wise.